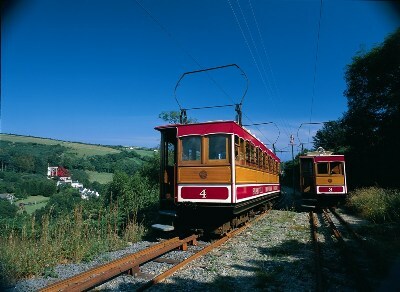 These tickets entitle the holder to unlimited travel on scheduled services of the Steam Railway, Manx Electric Railway, Snaefell Mountain Railway, Douglas Horse Trams and buses. Half fare is payable on Hullad Oie Night Owl buses. The cards are valid for consecutive days from the day of first use. A family card is for two adults and up to three children aged 5 to 15 years. Children under 5 travel free. We make a £5.00 cover charge on each order and would recommend that the passes are sent by Royal Mail Special Delivery at a cost of £7.00. We can also offer rail-sea tickets from any UK station to Douglas on the Isle of Man including the ferry from Heysham or Liverpool. Fares start from £68.00. Please contact us on 01766 512400 or eMail: ruth.willmore@ffestiniogtravel.co.uk for more information or to buy tickets and passes.